℗ 2018 Parlophone Records Ltd. for the world outside the U.S. and Canada and Todomundo Ltd. and Sire Records & Talking Heads Tours Inc. under exclusive license to Nonesuch Records Inc. for the U.S. and Canada. 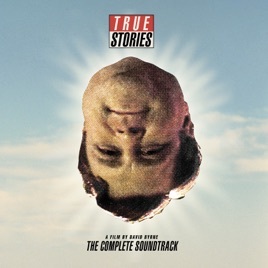 Original soundtrack was called Sounds from True Stories. Unappreciated genius. Glass Operator...can’t wait. Byrne rules. Hope there’s a film of American Utopia tour in the works. But another great band named themselves after one of the songs on here (Radio Head)!